Open for Business | SPARC International, Inc. The RISC-based Scalable Processor ARChitecture includes processors from multiple vendors and powers devices in a wide range of sizes and a broad array of applications. This architecture is controlled and managed by SPARC International, Inc. (“SI”), an independent, not-for-profit organization founded in 1989. Since its inception, the SPARC architecture has been guided by its fundamental design philosophy of open standards. 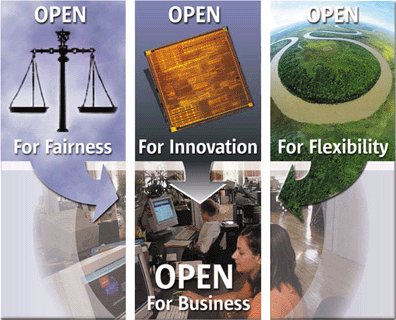 OPEN – to promote innovation, to provide options and flexibility, to encourage fair competition, and ultimately to help businesses relying on the SPARC platform to thrive. Any version of the SPARC Instruction Set can be licensed from SI and used to design processors that implement this open standard. The SPARC Instruction Set is available for license by any individual or entity. Additionally, a licensee may become a member of SI at any desired level, and enjoy the privileges associated with that level (see FAQ and Membership Benefits for details). While members cooperate on open standards, they compete fairly on implementations. With more companies adopting the SPARC architecture, there are more ideas and methodologies to solve any given problem, allowing for greater innovation. This is a huge benefit to members as they define future standards. While specific implementations must be compliant with the SPARC standards, members enjoy flexibility in the implementation of those standards. Members may also choose to add their own proprietary intellectual property resulting from extensions to the SPARC standards. The SPARC architecture provides the scalability, performance, and reliability to meet the demands of today’s business enterprises, and it also incorporates the architectural “headroom” to accommodate the computing challenges of the future. SPARC’s openness fosters a community which includes multiple chip vendors, thousands of available applications, and one of the largest developer communities in the world.